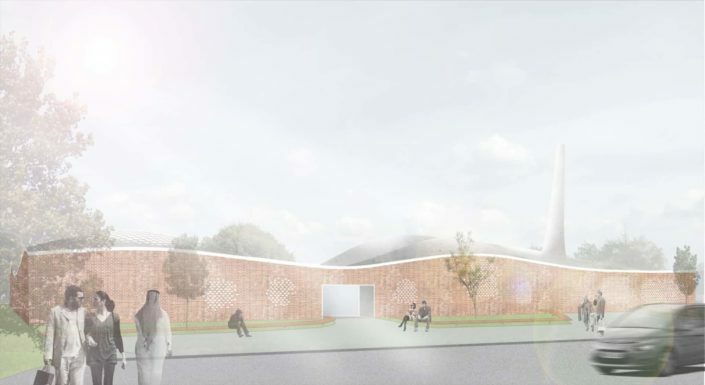 The conceptual design of the Islamic Centre is designed to exploit the benefits and to overcome the shortcomings of the existing location, so that the centre is mostly an introverted structure that is embedded in the urban context. The façades membrane, the originality and distinctiveness of the roof structure, have an iconic potential and predetermine it for an anchor point of the settlement. With its introversion it creates a kind of world for itself (plunging into the depth of the inner spirituality), which is not hermetic because it communicates with the environment through the openings. The Islamic Centre, with its characteristic organic shape, responds to a different scale of surrounding buildings and creates a strong urban entity and also becomes a social generator. 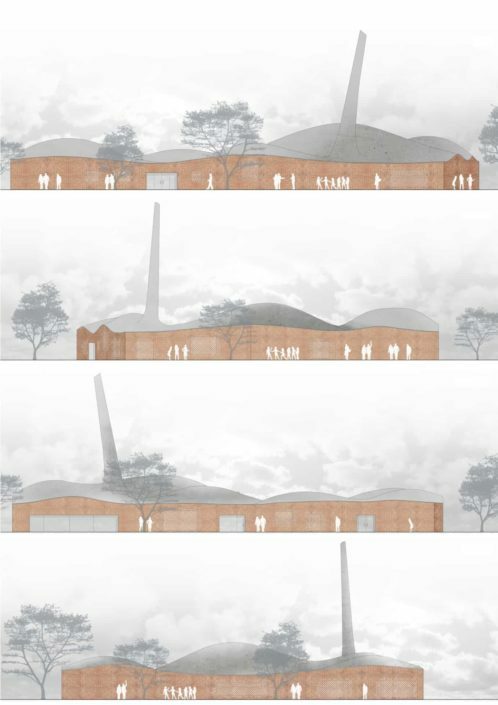 The Centre, together with congregation space and a series of other spaces for religious, educational and cultural purposes, also becomes a small town. 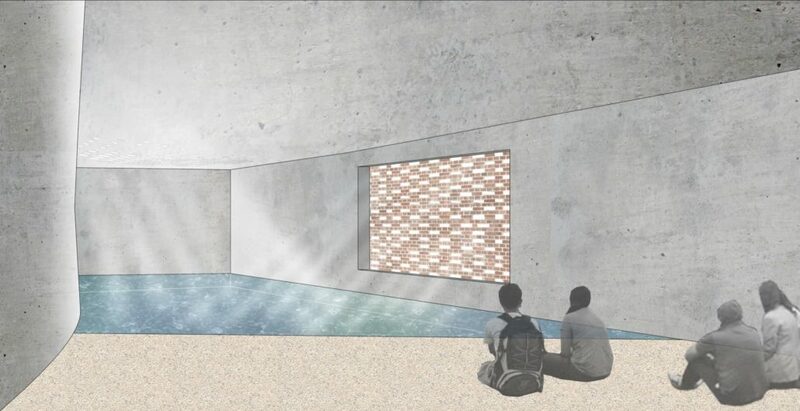 The whole centre is designed as a closed indoor space where all the facilities are located. 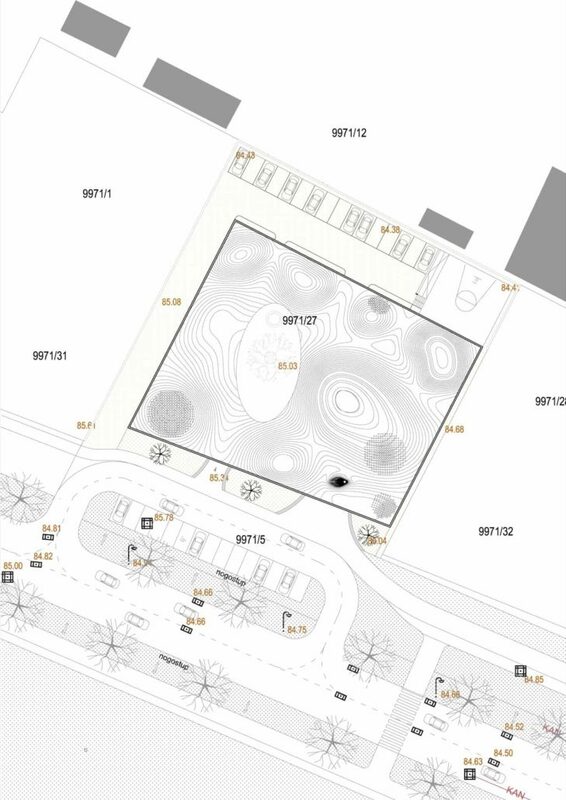 In this way, a meditative sense is obtained, which is particularly emphasized by the distance from the urban city centre, creating a micro-location for the Centre itself. It communicates with the environment as needed, and the believers are inward-oriented (turning to their inner self). 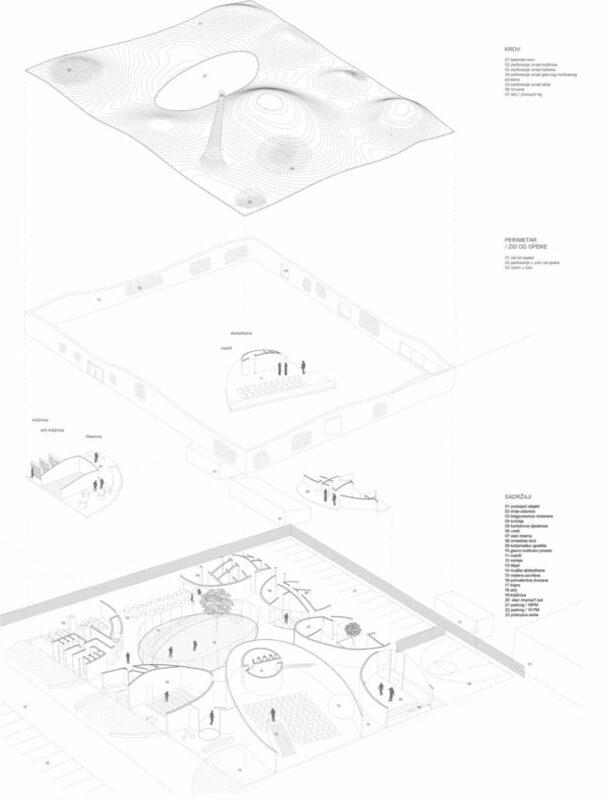 From the project-related assignment in connection to the disposition (entrance to the congregation area opposite Mecca, the minaret on the right side of the sacred nucleus and the impossibility of setting the accompanying content of the secular function in front of the sacred nucleus), the ground plan solution imposes itself. Striving towards an organic communication (flow) spaces are elliptically shaped. As the result of all this, over certain areas the curve / geometry of the roof overhangs the geometry of the dome, which is an indispensable element of the Islamic legacy. All those purposes are united under the same roof, creating an uninterrupted surface that integrates religious and lay functions. With this form, the original Islamic sacral typology is shaped into a more universal expression using modern materials and form. 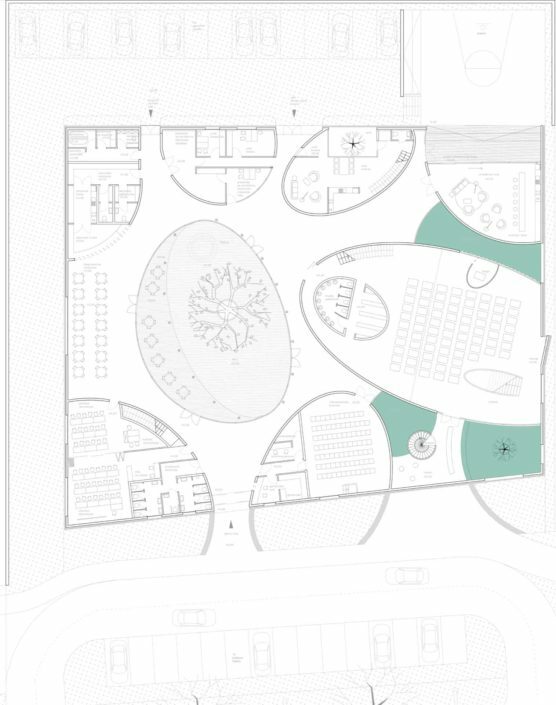 In the interior we can find a large open atrium with greenery and a fountain that provides the natural light inside the space, which gives us an atmosphere of purity and richness of light from the inside. Also, with such a disposition the grading of the peripheral-secular parts toward the central-sacral is obtained, with the spatial culmination in the sacral nucleus and with the dome over the congregation hall and the dominant minaret. On the plot the central position itself generates a series of open spaces, approaches and views and at the same time creates an appropriate introversion, security and peace where the believers stay. The roof of the building as the fifth façade has a powerful influence on the entire, potentially urbanized area, due to its recognisability thus creating its new identity.